Nate earned his bachelor’s degree in philosophy from Brigham Young University and his Juris Doctor from the University of Kansas. While in law school Nate served as a Staff Editor (2008-2009) and Senior Articles Editor (2009-2010) for the Kansas Journal of Law and Public Policy. During law school, Nate worked as an extern for Kansas Legal Services, a non-profit law firm, and as a research assistant for the distinguished Professor Keith G. Meyers. 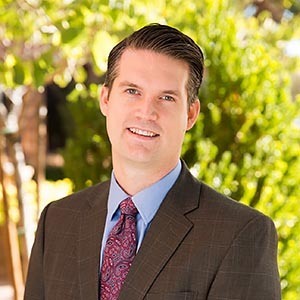 An active participant in the Arizona Employment Lawyers Association, Mr. Hill is frequently asked to give presentations on employment law topics before groups of fellow attorneys. When Nate is not working, he enjoys spending time with his family. He also enjoys traveling and watching sports.